While making this mani I somehow kept thinking about how I would name this post, 'blue explosion'. And one thing led to another and before I knew it I was singing Black Eyed Peas' Boom, Boom, Pow all day long... "I got that boom boom pow!" My apologies if you are singing it with me now hahah. Have a nice day! This looks amazing! You are the tape mani queen! This looks awesome!! Your tape manis always look so cool! 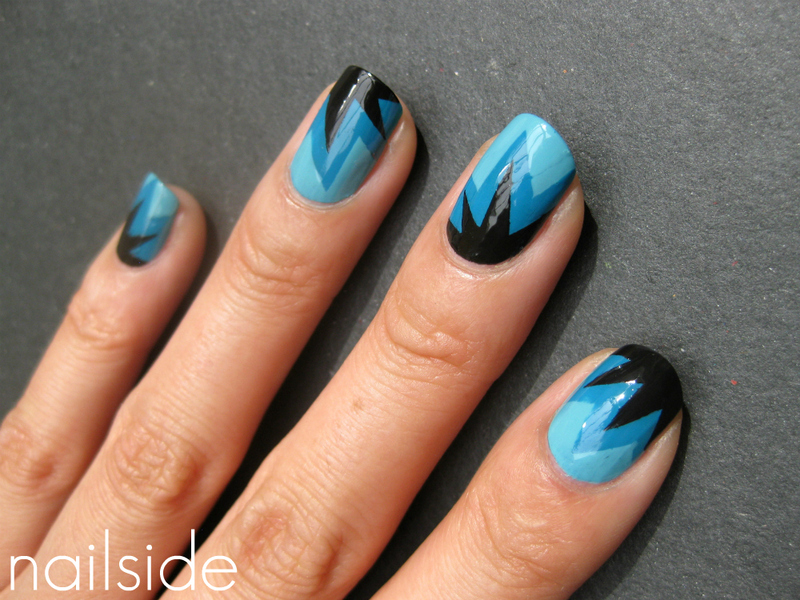 These tape manis get awesomer and awesomer each time! So cute! I really need to try this soon. omg! this is pretty!!! so gorgeous! These are awesome! Your tape manis are so perfect and crisp! signed in, just o I could comment.....on these totally awesome nails! gonna have to try this one too! very very pretty! Looks like orchids ! I love your tape manis so much. I can't even work out how you do most of them...Lol! Wow, these look completely amazing, you've inspired me to get my tape out and give a tape mani another go! omg! i love those nails! (honestly, i love all the nails you have done..) i cant understand how you can make them look so amazing! Your manis are always so sharp, precise & gorgeous!!! Pleeeaaase mattefy this! It would look even more awesome! so awesome!! if only i could tape like you do. i might have to try again soon. I wish I had the patience to try something like this, it looks awesome. OOh I love these!! Great job!!! Holy cow! Amazing as always!!! This is ridiculously cute! I can never get tired of your tape manis. You always do great color combos. Please make a tutorial of these they look so cool! I would really love a tutorial on this one, if you have time. This is one of my favorites.